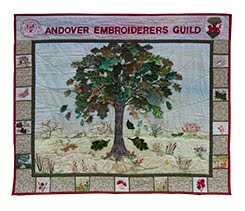 Torn between the garden and stitching during this lovely weather, the lure of the outside is stronger! However the evenings are still dark so no excuse not to come to our meeting. When finding inspiration for textile projects, Science isn't the first area that comes to mind. 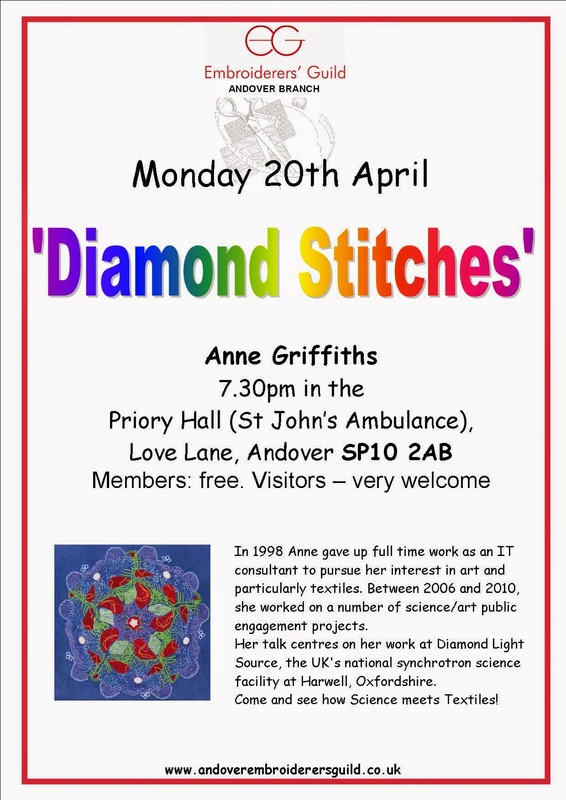 However Anne Griffiths has spent time at the science centre at Harwell and will show her fascinating results.